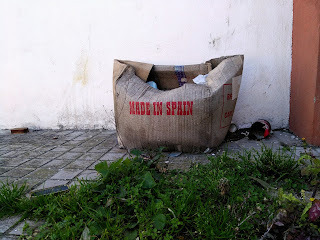 Let's face it, recycling is a bit complicated when you're travelling and living in a van. It's not impossible, but it does take more time and effort than in a normal household. Due to the lack of space you might feel, that even though green values are important to you, sorting the trash is simply too overwhelming of a task. I agree, it's way easier having all the trash in the same bag and getting rid of them at once. You don't want to have six different bins taking up all the little storage space in your van and then drive around trying to find a collection point. It sort of undos the environmental benefits of recycling too. Recycling has some pros, though. Let me share some tips on how (and why) to start recycling in your van. 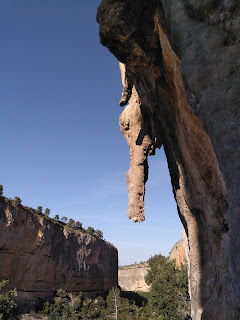 This is a mini-post about bouldering in Almenara, a village in southern Spain. It's a small place, where we stopped by when we started heading back north from Chulilla. I had only seen a few photos of the place on 27 Crags, so my goal was to just find the rocks and check out the place. But as it turned out, the boulders or actually more of a cave is a really cool place to climb! 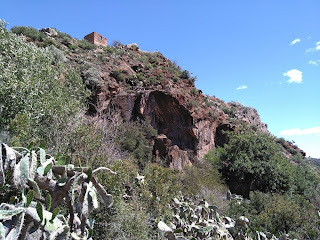 There are actual boulders as well (somewhere in the bushes), but I recommend going straight to Cova del Sol. It's within a 10-minute walk uphill from the night club Garaig in the outskirts of Almenara.